Under construction seven storey building has collapsed this evening in Port Harcourt, Rivers state, leaving some occupants dead and others trapped. Police Public Relations Officer, Rivers State Command, Nnamdi Omoni, who confirmed the incident told Vanguard that, “The worry now is not about ascertaining the level of casualties. 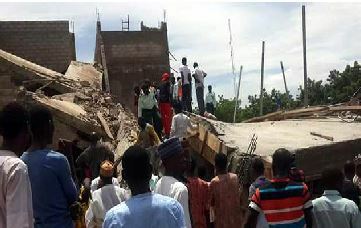 Rescue operations is ongoing.” Unconfirmed sources said at least 11 persons have been rescued from debris at the scene of the incident just as the number of the dead remains unascertained.